FRANKFURT -- Investors hungry for reform at Volkswagen Group after the company's emissions scandal may be disappointed at the carmaker's annual shareholder meeting on Wednesday. 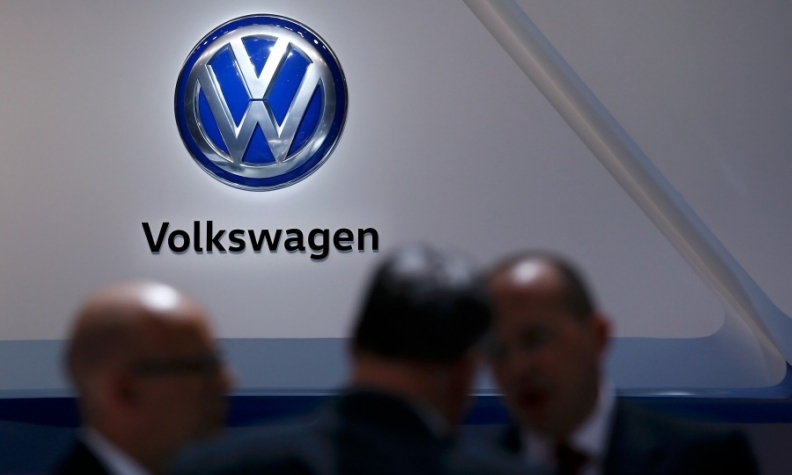 Galvanized by hedge fund TCI, which launched an attack on Volkswagen's corporate governance last month, some shareholders felt that changes to the company's arcane structure were inevitable. There were also signs of discontent among major shareholders with some members of the Porsche-Piech family indicating they might dispute the paying of a dividend at the meeting. But that appeared to have been resolved on Thursday after Volkswagen presented a 10-year strategy plan. After decades in which VW appeared to be run in the interests of the Porsche-Piech clan that controls the company, as well as employees and its home state of Lower Saxony, the balance of power seemed set to tip towards institutional shareholders. "VW can only develop further if the conflict of interest between unions, Lower Saxony, the ruling families and independent shareholders is resolved," said Ingo Speich, a fund manager at Union Investment which holds about 0.6 percent of VW preference shares. A vote by the Porsche-Piech family would have begun to weaken the special status of Lower Saxony by giving all shareholders equal voting rights if the dividend were scrapped for two years in a row. That would have eliminated the veto rights of Lower Saxony, with its interests in preserving local jobs, over major strategic moves such as shutting plants. But the family closed ranks on Thursday after Volkswagen presented a strategy plan supposed to turn the company into a leader in electric vehicles and new forms of mobility such as ride-hailing and car-sharing. "The agreement on the dividend shows that no significant changes are to be expected," said Union Investment's Speich. Porsche SE, the family's holding company for its 52 percent stake in Volkswagen, said the clan no longer had any issue with Volkswagen's paying a dividend, thanks to the plan that it said secured the company's future, and called off a supervisory board meeting at which the issue was due to be discussed on Monday. In an interview with Germany's Bild tabloid, Wolfgang Porsche and Hans Michel Piech - two senior representatives of the family on Volkswagen's supervisory board - explicitly backed executive bonuses, Chairman Hans Dieter Poetsch, and the new strategy. "We as a family are responsible for Volkswagen," Porsche told the newspaper. "In this matter, our families, regardless of what generation, are absolutely unanimous." VW's emissions problems have placed the automaker’s delicately balanced ownership structure in the spotlight, with the state of Lower Saxony, VW's second largest shareholder, controlling 20 percent of voting rights and retaining a blocking minority to veto major strategic decisions. The 20-seat supervisory board, or board of directors, grants equal representation to workforce and shareholder representatives. But VW differs from other German companies in one respect - Lower Saxony, where VW is headquartered, gets two of the 10 shareholder seats, tipping the balance of power. Analysts say the representatives from Lower Saxony and the workforce share the common goal of protecting jobs at the state's biggest company, which employs over 100,000 people in the northwestern German state. The power that labor wields at VW became visible again two weeks ago when executives and labor bosses, faced with pressure to make cuts in high-cost German operations, agreed to start talks without eliminating jobs. "VW needs a more contemporary structure. Special government rights are outdated and counterproductive," said London-based Evercore ISI analyst Arndt Ellinghorst who has a "buy" rating on the stock. The structure of the supervisory board, dubbed by Ellinghorst as the "Super Saxony Board", is mirrored by the composition of its executive committee, which sets the agenda for the broader board. Committee head Hans Dieter Poetsch, also VW's chairman and former finance chief, and Wolfgang Porsche, are balanced by three unionists including Bernd Osterloh, the head of VW's works council, and the chief of trade union IG Metall, as well as Lower Saxony state premier Stephan Weil. The Porsche and Piech families, controlling 52 percent of the votes in VW through Porsche SE, have the power to force change at VW but have largely kept silent throughout the emissions crisis. The ruling family encompasses a clan of about 80 people pursuing diverse interests and careers ranging from design to real estate, with patriarchs Ferdinand Piech and Wolfgang Porsche, both grandchildren of VW Beetle creator Ferdinand Porsche, being slow to hand control to their children. The family lost its dominant figure at Volkswagen in April 2015 when Ferdinand Piech, the carmaker's former chief executive and chairman who spearheaded its global expansion, quit after more than two decades at VW's helm following a power struggle with then CEO Martin Winterkorn. With Piech gone, his cousin Wolfgang Porsche is leading the family, which now occupies four seats on the supervisory board. The void has been filled by VW's powerful labor unions, which already had significant influence at the carmaker before its emissions problems, holding half the seats on the board. Porsche, Volkswagen's works council chief and the state premier of Lower Saxony all lined up behind a new strategy for 2025 presented by CEO Matthias Mueller on Thursday, which promised extensive cost savings to finance new investments to transform the company into a green mobility leader but was sketchy on details of job cuts. Chris Hohn's London-based hedge fund kicked off a campaign against Volkswagen's corporate governance in May. "This extravagance must end," he wrote in a letter to management, referring to executive bonuses. TCI, which says it has exposure of 2 percent to Volkswagen, has gone on to demand a change in the structure of VW and Porsche to loosen the grip of the Porsche-Piech family, and that Lower Saxony step back from the supervisory board. TCI has form in Germany. In 2005, the hedge fund was a shareholder in Deutsche Boerse when it was trying to buy the London Stock Exchange for the second time. Hohn fought such an intense campaign against the merger that the takeover was called off and Deutsche Boerse's then chief executive, Werner Seifert, was forced out. Despite that last contentious foray into Germany, TCI partner Ben Walker is keen this time to stress the company's role as a long-term investor with a desire to improve Volkswagen's performance. "We think of all the companies we invest in, Volkswagen has the most potential to improve profits and cash flow but the company needs encouragement. It needs a wake-up call," he said. TCI has so far said it is acting alone, but its key points - that the company has been held back by underperforming and overpaid management - have resonated widely. In 2009, Qatar emerged as a Volkswagen stakeholder after it helped stabilize Porsche Automobil Holding SE's rocky finances in the wake of the company's failed takeover attempt of Volkswagen. A portfolio of derivatives on VW shares that Porsche had accumulated was hastily sold to Qatar, which now owns a 17 percent Volkswagen stake. In April, frustrated with the pace of reform at Volkswagen shareholder Qatar asked the carmaker for a seat on the company's executive committee, a request that met with substantial opposition, two sources familiar with the matter said. Qatar has so far not gained a seat on the executive committee. Meantime, it has agreed to nominate former IT minister Hessa Al-Jaber to represent the emirate on VW's supervisory board, allowing the carmaker to fulfil legal quotas for women ahead of the AGM. Al-Jaber will take the place of Akbar al-Baker, most widely known as the outspoken CEO of Qatar Airways. Hessa Al-Jaber, 57, an engineer, was Qatar's Minister of Information and Technology until March when a consolidation of Qatar's cabinet abolished her post. As Qatar's third female government minister she oversaw the modernization of Qatar's ICT infrastructure and led a push to make government communication more transparent launching a mobile app in 2015 for an e-government online portal. She will be the first woman to represent the State of Qatar on the supervisory board of an international group. A former government advisor to Al-Jaber said she was a reformist who empathized with the concerns of workers and would seek to avoid job losses and plant closures. Volkswagen is similar to other large companies in Germany, which, under a policy known as co-determination, or Mitbestimmung, requires supervisory boards to grant equal representation to workers and members elected by shareholders. But labor unions wield a greater influence at VW than at other German companies, a situation whose origins lie in the 1930s when the Nazi regime used expropriated union funds to build the massive plant at its home town of Wolfsburg. VW workers were granted wide-ranging rights after the war to prevent unions from suing for ownership. Over 90 percent of the Wolfsburg plant's 60,000-strong workforce are members of Germany's largest union, IG Metall, and the 10 labor representatives on the supervisory board have a say in appointing members of the management board. Labor’s excessive clout at VW is a thorn in the side of investors and analysts who have been urging cuts in jobs and operations of the core VW brand to lift profitability. Labor leaders have helped scupper cost cut plans in the past. Former VW Group Chief Executive Bernd Pischetsrieder - an ex-BMW CEO - and former VW brand chief Wolfgang Bernhard - a former McKinsey consultant - were both effectively ousted after clashing with labor leaders over cost plans. Labor’s top representative, Bernd Osterloh, has publicly clashed with current VW brand manager Herbert Diess who was hired three months before the emissions crisis broke to turn around the business. Having accused Diess of betraying workers and trying to use the emissions scandal as a pretext for pushing through job cuts, Osterloh is currently in talks with Diess to agree a cost-saving strategy for the business as part of VW's post-crisis transformation. VW's power structure rests on close ties between management, workers and politicians from Germany's northwestern state of Lower Saxony, where VW is the largest private-sector employer with over 100,000 workers at six factories. Wolfsburg, where Volkswagen is headquartered, has the highest per capita income of any German city. When VW was privatized during Germany's postwar economic miracle, Lower Saxony was given special ownership rights under the so-called Volkswagen Law that gave it supervisory board seats and a blocking minority over strategic decisions such as plant closures and takeovers. Lower Saxony's special powers at VW have been challenged several times by the European Commission, which has criticized the Volkswagen Law as blocking the free movement of capital and has sought to have it overturned by the European Court of Justice (ECJ). Germany amended the law slightly, and the ECJ ruled in 2013 that it was now compliant with European law. For Lower Saxony, represented on the VW supervisory board through Prime Minister Stephan Weil and Economy Minister Olaf Lies, the key is to protect local jobs, a goal shared with VW's unions, which effectively gives the pro-labor camp control of the board. VW’s emissions problems have reinforced criticism by investors and analysts that maximizing employment should not be the primary goal of a supervisory board whose purpose is to monitor top management for a company's investors and to ensure its health and profitability. Volkswagen faces a variety of legal risks including civil claims from drivers and dealerships, possible criminal prosecution by the U.S. Department of Justice and uncertainty about a proposed settlement with U.S. regulators. In the U.S., Volkswagen has until June 28 to reach a final diesel-emissions settlement with U.S. government regulators and owners of 2.0-liter vehicles. A tentative settlement announced in April includes an offer by VW to buy back nearly 500,000 polluting vehicles, as well as an environmental remediation fund to address excess emissions and a fund to promote green automotive technology. VW will still face outstanding lawsuits by U.S. states and talks with dealers to compensate them. European lawyers say their clients deserve a similar offer to the potential U.S. deal that includes buybacks or possible fixes at an estimated cost to Volkswagen of more than $10 billion. Bentham Europe, a litigation funder, has said it is in contact with Volkswagen's top 200 investors about launching a damages claim in Germany for alleged negligence and breaches of German securities law. Bentham Europe, a joint venture between Australian-listed IMF Bentham and U.S. hedge fund Elliott Management Corp, plans to manage and fund a German claim on a "no win, no fee" basis, alleging in part that VW failed to publish market sensitive information in a timely way. Norway's sovereign wealth fund, the world's largest, said last month it planned to join the class-action lawsuits filed against Volkswagen. The California State Teachers' Retirement System (CalSTRS) has also said it plans to participate in a German securities litigation suit against Volkswagen. A criminal investigation by the U.S. Justice Department is also ongoing and is expected to be prolonged.